Re-unified in 1990 after more than 150 years of division, Yemen is a poor country with declining oil reserves, tribal and religious divisions, and a weak government. Nevertheless, Yemen has a strong agricultural sector, a favorable location on world trade routes, and a fairly well educated urban population. Yemen has been particularly prominent as regards the militant Islamist movement. Osama bin Laden, the head of al-Qaeda, is of Yemeni (Hadrami) origin, and prior to 2002 al-Qaeda and similar organizations operated rather freely in Yemen, where several well-known attacks on Western-associated targets, including the US Navy destroyer Cole, have occurred. Yemen is now facing two conflicts—in the far north and in the former Southern Yemen—that may lead to its breakdown or becoming more of a failed state like its close neighbor Somalia. Yemen’s violence reached the United States when a Nigerian man, who took his orders from Al-Qaeda of the Arabian Peninsula, tried to set off a bomb on an American-bound plane on Christmas Day 2009. Lay of the Land: Yemen occupies the southwest corner of the Arabian Peninsula, bordered by Saudi Arabia to the north, the Red Sea to the west, the Gulf of Aden and the Arabian Sea to the south, and the Sultanate of Oman to the east. Yemen lies just north of Bab el Mandeb, the strategic passage between the Red Sea and the Gulf of Aden, across which lie the African nations of Eritrea, Djibouti and Somalia. With an area of 203,837 square miles, Yemen is comparable in size to Thailand, and somewhat larger than the state of California. The country can be divided geographically into four main regions: the Tihama coastal plains in the west, the western highlands, the eastern highlands, and the Rub al Khali in the east. The Tihamah (“hot lands”) form a flat and arid coastal plain with extensive crescent-shaped sand dunes. Water evaporates there so quickly that streams from the highlands never reach the sea, but they do contribute to extensive groundwater reserves, which today are exploited for agriculture. The Tihamah ends abruptly at the escarpment of the western highlands. This region, heavily terraced for farming, receives the highest rainfall in Arabia, increasing with elevation to over 40 inches in Ibb. The diverse agriculture includes sorghum, cotton and fruit trees. The eastern highlands (notably Wadi Hadhramaut) are an extensive high plateau over 6,500 feet in elevation. Though drier than the western highlands, the eastern highlands receive sufficient rain to support farming. Water storage allows for irrigation and the growing of wheat and barley. Populated by Bedouin camel herders, the Rub al Khali (“Empty Quarter”) in the east receives almost no rain. Yemen’s capital and largest city is Sana’a, located in the western highlands, while the country’s commercial center, located on the Gulf of Aden, is the ancient port city of Aden. Normally abundant rainfall and an agreeable climate account for Yemen’s relatively heavy population density and make it potentially one of the more prosperous agricultural areas on the Arabian Peninsula. Religions: Shafa’i order of Sunni Islam 65%, Zaydi order of Shi’a Islam 34%, Hindu 0.6%, Christian 0.2%, Ismaili Islam 0.1%, Jewish 0.1%. Ethnic Groups: Predominantly Arab, with Afro-Arabs, South Asians, and Europeans. : Arabic (official), Sanaani Arabic 38.0%, Taizzi-Adeni Arabic 33.8%, Hadrami Arabic 1.5%, Mehri 0.4%, Soqotri 0.3%, Judeo-Yemeni Arabic 0.001%, Bathari. Yemen’s strategic location at the southern entrance of the Red Sea—for millennia a crossroads of trade and communications routes—has decisively influenced the country’s history, economy, culture, and population. In the ancient world, the states occupying modern-day Yemen controlled the supply of such important commodities as frankincense and myrrh, while they dominated commerce in other valuable items, such as the spices and medicines of Asia and various luxury goods produced in east Africa. Because of its fertility and its commercial prosperity, the ancients called Yemen Arabia Felix (Latin for “Happy Arabia”) to distinguish it from the vast arid regions of Arabia Deserta (“Desert Arabia”). This fertility and prosperity was maintained by the stable rule of various powerful kingdoms (Sabaean, Awsanian, Minaean, Qatabanian, Hadhramawtian, and Himyarite) that ruled Yemen through Classical antiquity. The decline of these local kingdoms was due to the large migration of Yemeni tribes to the Fertile Crescent and Arabian Peninsula after the partial destruction of in the the Marib Dam by flooding in the 3rd century. Islam arrived in 630, and spread quickly, probably in part because the previously dominant Jews and Christians had spent the preceding centuries fighting a series of religious wars with one another. From that time to the present, Yemen has been an integral part of the Muslim world. At the beginning of the 15th century, the outside world discovered coffee, whose use had originated in Ethiopia and spread to Egypt and Yemen. Over the next several centuries, Yemen and the Red Sea became an arena of conflict among the Egyptians, Ottomans, and various European powers who sought control over the coffee trade and the trade to India. However, the coffee plant (whose name, Coffea arabica, derives from its origins in the Arab world) was soon smuggled out of Yemen and planted in Africa, Asia, and the New World, which led to a great decline in Yemen’s importance to the world coffee trade. The competition amongst the European powers for imperial aggrandizement came to Yemen in the 1830s, when the British established a colony at the port city of Aden and the Ottoman Empire moved into northern Yemen. The opening of the Suez Canal in 1869 increased Yemen’s importance to international commerce, because of its location along the increasingly important sea routes from Suez to India and East Asia. In 1904 the British and the Ottomans signed a treaty establishing a border between their respective possessions that would last until the 1990 reunification of Yemen. With the collapse of the Ottoman Empire at the close of World War I, northern Yemen became the independent Kingdom of Yemen, ruled by a succession of imams of the Zaydi sect of Shi’a Islam. Their rule, which became increasingly reactionary and repressive, lasted from 1918 until 1962, when an Arabist revolution, supported by Egypt, toppled the government and established the Yemen Arab Republic, also known as North Yemen. The British, however, retained control of the south, which they considered important to their empire. Under mounting pressure to grant independence, in 1963 the British proclaimed the Federation of South Yemen, but ongoing civil war limited its stability and effectiveness. Finally, on November 30, 1967, the British transferred sovereignty to the victorious National Liberation Front. The new southern government changed the name of the country to the People’s Republic of South Yemen. Short of resources and allies, the leadership began to drift toward the Soviet Union, which had no Arab state in the “communist camp” and was therefore eager to provide assistance. By the early 1970s South Yemen had become an avowedly communist state and renamed itself the People’s Democratic Republic of Yemen. Although expectations arose that there would be some form of unification between the two Yemens, this was no forthcoming, primarily because of the drastic political differences that developed during the 1970s. Whereas the north retained ties with the West and remained a market economy, the south moved rapidly toward Soviet-style communism. These differences led to brief wars in 1972 and 1979, South Yemen’s funding of an opposition movement in the north, and the approval by a political faction in South Yemen of the assassination of the North Yemeni president in 1978. Ensuing political struggles in South Yemen from 1978 through 1986 eventually led to the ascension of a moderate faction, which negotiated the reunification of Yemen in 1990. The early 1990s witnessed political violence, bombings, assassinations, and a brief civil war in 1994. The war left thousands dead, but the government issued a broad amnesty for most of those involved, and the influence of the socialists began to wane, while a Sunni religious party, Islah (“Reformation”), has become the second largest political bloc within parliament. Externally, the reunified Yemen settled two major border disputes. In 1998, international arbitrators awarded the Hanish Islands in the Red Sea to Yemen after a violent conflict with Eritrea over their ownership. Two years later Yemen and Saudi Arabia settled their long-standing dispute over their mutual border. At home, the 1990s saw many Sunni Islamist groups, including al-Qaeda, gravitate to Yemen, particularly to remote areas where the central government’s authority was weak, while anti-American themes began to predominate at many Yemeni mosques and madrasahs (religious schools). Several terrorist attacks against Western targets occurred in Yemen: the al-Qaeda bombing of the US warship Cole in October 2000, the bombing of the French supertanker M/V Limburg in October 2002, and the murder of three American health workers in Jibla Hospital in December 2002. Al-Qaeda, whose leader Osama bin Laden is of Yemeni ancestry has enjoyed strong support among Yemeni Islamists. After the September 11, 2001, attacks on the US the Yemeni government arrested dozens of al-Qaeda militants and froze assets of those believed to have supported the organization. In 2004, a Zaydī rebellion protesting the government’s close ties with the United States broke out in northwest Yemen, to which the government has responded with heavy force and increased restrictions on Zaydi Islam. Today, one of the key challenges facing Yemen is the dwindling state of its oil reserves, the largest source of foreign trade revenue, which are expected to be exhausted within a decade. In general, the US had good, if not close, relations with North Yemen, while relations with South Yemen were generally hostile. The US established diplomatic relations with North Yemen in 1946, and was one of the first countries to recognize the Yemen Arab Republic in 1962. A major US Agency for International Development (USAID) program constructed the Mocha-Taiz-Sana’a highway and the Kennedy memorial water project in Taiz, as well as many smaller projects. In 1967, North Yemen broke diplomatic relations with the United States in the wake of the Arab-Israeli conflict of that year; relations were not restored until 1972. Although the US recognized the People’s Democratic Republic of Yemen in December 1967, relations were strained from the beginning. The State Department place South Yemen on the list of nations that support terrorism in 1968, and October 1969, South Yemen broke diplomatic relations with the US. Relations were not reestablished until April 30, 1990, just 3 weeks before the announcement of Yemeni reunification. At that time, the US had a $42 million USAID program in Yemen, and from 1973 to 1990, the United States provided North Yemen with assistance with agriculture, education, health and water. There was a Peace Corps program with about 50 volunteers, and the US Information Service operated an English-language institute in Sanaa. However, in 1990, as a result of Yemen’s support of Iraq following the Iraqi invasion of Kuwait, the United States drastically reduced its presence in Yemen, including canceling all military cooperation, non-humanitarian assistance, and the Peace Corps program. USAID levels dropped in to $2.9 million, but food assistance through the PL 480 and PL 416 (B) programs continued through 2006. The USAID program, focused in the health field, was reinvigorated in 2003 with the re-opening of an office in Sana’a. Yemen has also received significant funding from the Middle East Partnership Initiative, which have been spent on literacy projects, election monitoring, training for civil society, and the improvement of electoral procedures. Currently, the US government considers Yemen an important partner in the global war on Islamic radicalism, providing assistance in the military, diplomatic, and financial arenas. Since late 2001, Yemen has stepped up its counter-terrorism cooperation efforts with the United States, achieving significant results and improving overall security in Yemen. At the same time, however, the US has frequently criticized Yemen’s approach to terrorists tried and convicted by Yemeni courts, which often involves a rehabilitative approach, including short prison sentences and affirmative assistance in exchange for refraining from terror-related activities and helping the government in its efforts. Even thou the United States has criticized the Yemeni approach to terrorists, it needed the official Yemeni cooperation in arresting and interrogating (torturing) Yemeni suspects that the US Intelligence agencies thought they were involved with terrorism or have any relationship with al-Qaeda. The Government of United States has promised the Yemeni government that it will increase its military aid to Yemen to fight al-Qaeda after the alleged attempt to destroy a Delta airliner by a Nigerian national inspired by al-Qaeda of the Arabian Peninsula. Also, the US Embassy closed for a few days in Sana’a due to security threats after the incident, but it reopened on the fifth of January 2010. The US Government has always fought for human rights at least in public, but now its image as the vanguard of human rights is being shattered by the ongoing torture in US secret detentions abroad. The Yemeni intelligence was used several times to help with interrogating prisoners, which there is no doubt that they used torture to force the prisoners to confess about all the allegations they were confronted with. Does this help America’s war with al-Qaeda or it has an opposite effect? 1,189,731 people identified themselves as Arab in the 2000 U.S. census (there is no category for Yemeni), although scholars estimate there may be over 3 million ethnic Arabs in America. Traditional fear of governmental abuse of personal information has led many Arabs to conceal their ethnicity. Over a third of the Arab population in America lives in New York, Detroit, and Los Angeles. 13,459 Americans visited Yemen in 2006. Although growth in tourism hasn't been consistent, overall it has multiplied many times over since 2002, when 3,527 Americans traveled to Yemen. 1,078 Yemeni visited the U.S. in 2006. The number of tourists has increased significantly since 2002, when 445 Yemeni came to America. Although US crude oil imports from Yemen averaged $241 million between 2004 and 2007, in 2008 they fell to zero, yielding a corresponding decline in overall US imports of Yemeni goods from an average of $270 million to $8.2 million and $6.5 million in 2009. Of that $8.2 million, two product groups dominated: green coffee ($4.9 million or 60%) and civilian aircraft engines ($1.25 million or 15.1%). US exports to Yemen totaled $401.4 million in 2008, and $315.9 million in 2009 led by wheat ($147.1 million or 36.6%), all other food products ($38.6 million or 9.6%), industrial engines & machinery ($51.6 million or 12.8%), drilling & oilfield equipment ($45.6 million or 11.3%), motor vehicles and parts ($36.7 million or 9.1%), and generators and electric apparatus ($20.5 million or 5.1%). The U.S. gave $23.7 million in aid to Yemen in 2007. The budget allotted the most funds to Foreign Military Financing ($9.7 million), Education ($4.0 million), and Health ($3.5 million). The 2008 budget estimate decreased aid to $17.6 million, but the 2009 budget request will increase aid significantly over 2007 levels, to $33.8 million. The 2008 budget will distribute the most aid to Education ($11.0 million), Health ($5.5 million), Political Competition and Consensus-Building ($3.0 million), and Foreign Military Financing ($3.0 million). Yemen's status as a Millennium Challenge Corporation (MCC) threshold country was reinstated in February 2007. The MCC released $20.6 million to Yemen to strengthen Yemen's democratic institutions and ensure a safe investment climate. Qat (khat) is a natural catalyst from the Catha Edulis plant, found in flowering trees which grow in East Africa and Southern Arabia. It reaches heights from 10 feet to 20 feet and its leaves resemble withered basil. Chewing Qat is popular among both Yemenis males and females. The chewing of Qat initially amplifies emotions, weakens the appetite and it causes insomnia, which leaves some users unable to stand on their feet. Yemenis spend around one quarter to one half of their money on Qat, they spend four to six hours buying and chewing Qat daily and they devote a third of their agricultural land to cultivate it. The Obama administration stopped the transfer of Yemeni detainees from Guantánamo due to political pressure and recent foreign threats coming from Yemen. The Christmas Day 2009 al-Qaeda failed attack on an American-bound plane and the loose security of the prisons in Yemen were cited as reasons for postponing the transfer of the detainees. No Direction Home: Returns from Guantanamo to Yemen (Human Rights Watch). If the United States has to fight al-Qaeda in Yemen, it needs the cooperation of the Yemeni government. But the Yemeni government is a dictatorship that has one of the worst human rights records in the region and it is hated by Yemeni southerners, the Zaidi Houthis and many others. It is possible that America’s alliance with the Yemeni government will add to the ill-feeling that the Yemenis have for the U.S.
President Ali Abdullah Saleh is a Zaidi who needs the cooperation of the Sunnis and the powerful tribes to keep his government intact. Saleh’s strongest ally, Ali Mohsen, a powerful general in the Yemeni Army, recruited thousands of his Sunni tribesmen to fight the Houthis separatists in the North. Mohsen has ties to the Salafis, notably to Sheikh Zindani who is on the US terrorist list, even though he condemned terrorism. So with these intermingling relations among the president, the Sunnis, the tribes and the Salafis, the US Government will be tested in identifying and then fighting its true enemies in Yemen. Yemen is a republic (the only one in the Arabian Peninsula) whose law provides that the president be elected by popular vote from among at least two candidates endorsed by parliament. In 2006 citizens re-elected President Ali Abdullah Saleh to another seven-year term in a generally open and competitive election, which was nevertheless characterized by multiple problems with the voting process and the use of state resources on behalf of the ruling party. Although there is a multiparty system, President Saleh’s General People’s Congress Party dominates the government. While civilian authorities generally maintain effective control of the security forces, elements of the security forces occasionally act independently of government authority. During an ongoing internal conflict that began in 2004, the government has used heavy force in an attempt to suppress the al-Houthi rebels in Saada governorate, while Human Rights Watch reports numerous human rights violations associated with the conflict. Significant human rights problems exist, including limitations on citizens’ ability to change their government owing to corruption, fraudulent voter registration, and administrative weakness. There have been reports of arbitrary and unlawful killings by government forces, politically motivated disappearances, and torture in many prisons. Prolonged pretrial detention, judicial weakness and fiat, serious corruption, and poor prison conditions are also problems. In 2008, excessive government force was reportedly used against participants in public demonstrations. Arbitrary arrest and detention and other abuses also increased, particularly of individuals with suspected links to the Zaydi Shia al-Houthi movement in and around the northern governorate of Saada and to the series of political demonstrations in Lahj governorate in the southern part of the country. Academic freedom is restricted. Restrictions on freedom of speech, the press, and peaceful assembly have recently increased, and harassment and intimidation of journalists and oppositionists continues. The government generally respects religious freedom in practice, but violations and restrictions are numerous; non-Muslim religious services are freely held, but proselytizing is prohibited. Further, anti-Semitic acts have occurred in the past few years. The constitution declares that Islam is the state religion and that Shari’a is the source of all legislation. Pervasive and significant discrimination against women continues to occur, as do child labor and trafficking. The right of workers to associate is also restricted. The government responded aggressively toward the protesters from the South who demanded fair treatment from San’a and the release of Southern political prisoners. The government defended their actions by saying that the southerners attacked the security forces first and even killed some Northern merchants living in Aden. The government had detained thousands of people, including children and women, and tried numerous methods of torture (beating with sticks, punching, kicking, prolonged suspension by the wrists or ankles, burning with cigarettes, being stripped naked, denial of food and prompt access to medical help, and threats of sexual abuse.) to obtain information and to scare others from demanding their lawful rights. On May 4, 2009, the government punished any newspaper that covered the Southern protests sympathetically by suspending from publication eight daily and weekly independent newspapers: Al-Ayyam, Al-Masdar, Al-Watani, Al-Diyar, Al-Mustaqilla, Al-Nida, Al-Shari’, and Al-Ahali. In the same month, the government created a new court to try journalists for any article they write that conflicts with the state opinion; in other words, the newspapers will have to wait each day for orders from the mukhabarat (intelligence agency). How Should the U.S. Deal with Yemen? Many critics have denounced the US strategy of sending troops far away from home to fight terrorism, so using proxies sounds like a good idea. The US government is thinking of using the Yemeni government to fight its war on terrorism in Yemen, because it’s cheaper and safer for Americans. The Saudis have been engaged in a war with al-Qaeda since the 1990s and they have been fighting the Zaidi rebels in Northern Yemen for months claiming that they threatened the Southern provinces of Saudi Arabia. A powerful and rich country like the Kingdom of Saudi Arabia is more fit than the Yemeni Government to fight al-Qaeda, according to many voices in the US Government. The US Government has been using force since 9/11 to fight terrorism, so what about fighting the core of the problem by using aid and guidance? Yemenis have three major problems (education, healthcare and electricity) have not been solved since the Yemeni Revolution in 1962; if the United States helps the Yemenis to tackle these problems, they will win hearts and minds. Many Yemenis depend on their kinship groups, but if there is a functional government that they can rely on, many will choose stability over violence. The US Government needs to fight poverty, ignorance and corruption in Yemen to win its battle. The Yemeni problem is nothing if it is compared to the challenges America is facing right now: the high unemployment rate, rising China and the Iranian threat. Arabia; resident at Jidda, Saudi Arabia. He also served as Ambassador to Ethiopia 1951 to 1953, and was an internationally recognized authority on Giacomo Casanova, about whom he published four books. Note: Commissioned to the Kingdom of Yemen. Also accredited to Saudi Arabia; resident at Jidda. He also served as Ambassador to Lebanon from 1953 to 1954; Egypt, from 1956 to 1958; United Arab Republic, from 1958 to 1959; Turkey, from 1961 to 1965; and again to Yemen, from 1959 to 1960 (see below). Note: Commissioned to the Kingdom of Yemen. Also accredited to Saudi Arabia; resident at Jidda. Commissioned during a recess of the Senate; recommissioned after confirmation on Jan 26, 1954. He also served as Minister to Lebanon from 1944 to 1947; Syria, from 1944 to 1947; and Iraq, from 1946 to 1948; and as Ambassador to Turkey from 1948 to 1952; and to Czechoslovakia from 1952 to 1953. Note: Commissioned to the Kingdom of Yemen. Also accredited to the United Arab Republic (see Egypt); resident at Cairo. After Hare's departure from Yemen following presentation of his credentials; Legation Taiz was opened to the public effective Mar 16, 1959, with Charles B. Ferguson as Chargé d'Affaires ad interim. Note: Commissioned to the Kingdom of Yemen. Also accredited to the United Arab Republic (a union of Syria and Egypt that lasted from 1958 to 1961); resident at Cairo. He also served as ambassador to Italy from 1961 to 1968. Note: Commissioned to the Kingdom of Yemen. Also accredited to Kuwait and Saudi Arabia; resident at Jidda. He also served as Ambassador to Saudi Arabia from 1961 to 1965; Kuwait, from 1962 to 1963; and Turkey, from 1965 to 1968. Note: From 1962 to 1972, the US had no Minister or Ambassador to the Yemen Arab Republic. The Embassy in San’a was re-established on July 1, 1972, with Robert A. Stein as Chargé d’Affaires ad interim. Note: Commissioned to the Yemen Arab Republic. He also served as ambassador to Cyprus from 1974 to 1978. Note: Commissioned to the Yemen Arab Republic. Note: Commissioned to the Yemen Arab Republic. 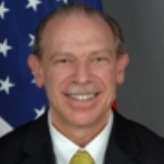 He also served as ambassador to the United Arab Emirates from 1992 to 1995. Note: Commissioned to the Yemen Arab Republic. He also served as ambassador to Qatar from 1983 to 1985. Special Note: On May 22, 1990, the Yemen Arab Republic and the People’s Democratic Republic of Yemen (South Yemen) announced that they would form a united “Republic of Yemen.” The US Embassy in Aden, South Yemen, was established on Dec 7, 1967; however no ambassador had been named when South Yemen severed diplomatic relations with the United States on October 24, 1969. The Embassy was closed two days later. The US resumed diplomatic relations with South Yemen on April 30, 1990, just three weeks prior to the unification of Yemen. Note: He also served as ambassador to Iraq from 1985 to 1988. Note: Bodine's career was marked by controversy when details of an alleged conflict with the FBI investigation of the USS Cole bombing came to light. According to a number of sources, including the PBS Frontline documentary “The Man Who Knew,” Bodine’s actions may have inhibited the FBI’s investigation into the Cole attack. In particular, Lawrence Wright has argued that her conflict with FBI agent John P. O’Neill, whose re-entry into Yemen to continue his command of the FBI investigation into the USS Cole bombing she denied, hindered the investigation. Her actions potentially may have contributed to the intelligence failures that resulted in the success of the September 11, 2001 attacks. Yemen's Ambassador to the U.S.
Yemen's Embassy Web Site in the U.S.
Yemen's Embassy in the U.S.
Stephen A. Seche became ambassador to Yemen in August 2007. He earned his B.A. in journalism from the University of Massachusetts at Amherst in 1974, and worked four years as a journalist before entering the Foreign Service in 1978. He spent the first seven years of his career in public diplomacy positions in Guatemala, Peru, and Bolivia. Other overseas assignments have included four years (1989-1993) as Information Officer at the US Embassy in Ottawa, Canada, and four years (1993-1997) as Press Attaché at the Embassy in New Delhi, India. Following his service in India, he returned to Washington for the first of two years of Arabic language training, completing the program at the Foreign Service Institute’s Field School in Tunis. From 1999-2002, he was Counselor for Public Affairs and Director of the American Cultural Center in Damascus, Syria. 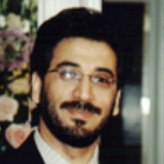 Seche returned to Damascus in 2004 as Deputy of Chief of Mission. 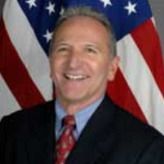 Following the February 2005 departure of the Ambassador in the wake of the murder of former Lebanese Prime Minister Rafik Hariri, Seche served as Chargé d’Affaires at the US Embassy in Damascus until August 2006. During the 2006-2007 academic year, Seche was a Visiting Fellow at the University of Southern California, where he taught in the recently established master’s degree program in public diplomacy. He speaks Spanish, French and Arabic.